It’s shameful. 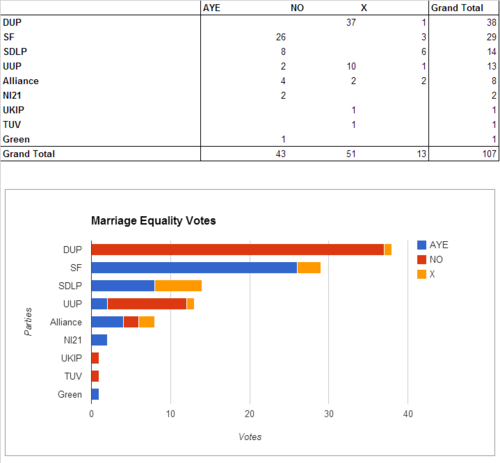 I don’t think this is a representation of what the Northern Irish public want at all. This is not acceptable. It’s time for us to fight back and stop voting these bigoted fucks in. This entry was posted in Campaigns and tagged equal marriage, equal rights, lgbt, northern ireland, northern ireland poltiics, politics, uk politics.